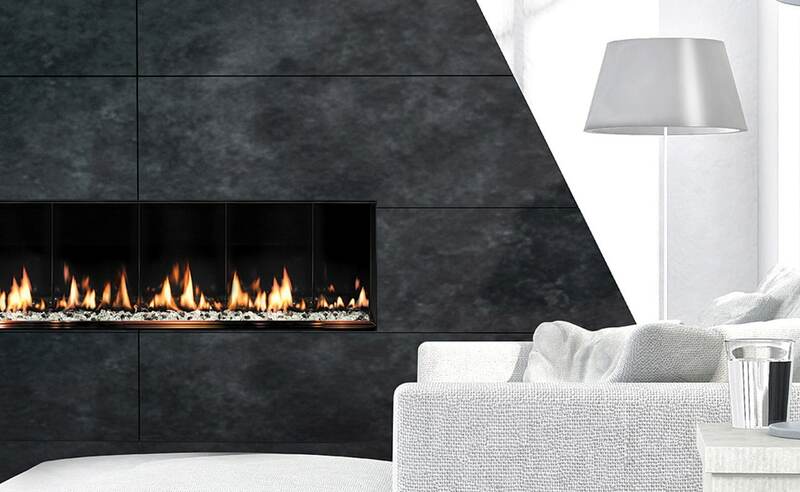 State-of-the-art designs mean that the SÓLAS Slim-Line Built-In Fireplaces can be installed almost anywhere. Only 12 inches deep and with low overall height, installation space requirements are reduced to an absolute minimum. Theyrequire only 4 inches of noncombustible construction materials around the unit. Available in 3 size lengths, the FORTY8 (4ft), SIXTY0 (5ft), and the SEVENTY2 (6ft) models can also come as SEE-THRU models. 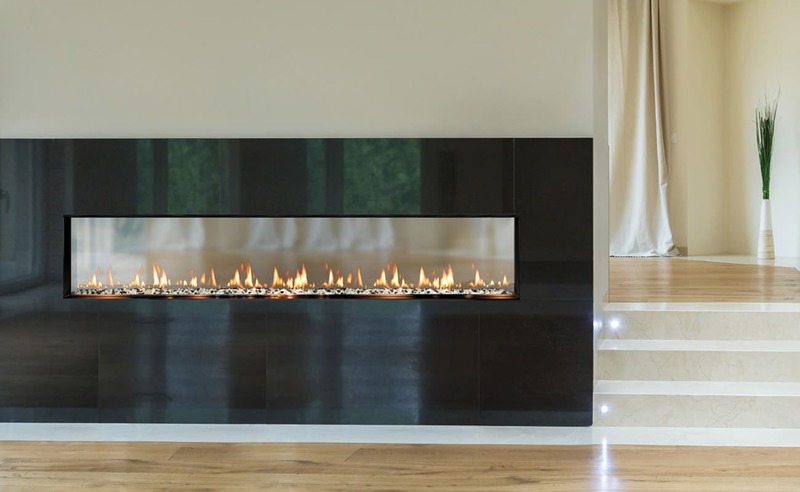 Slim-Line highly efficient contemporary fireplaces offer all of the features in demand by today’s most discerning, design conscious homeowners. 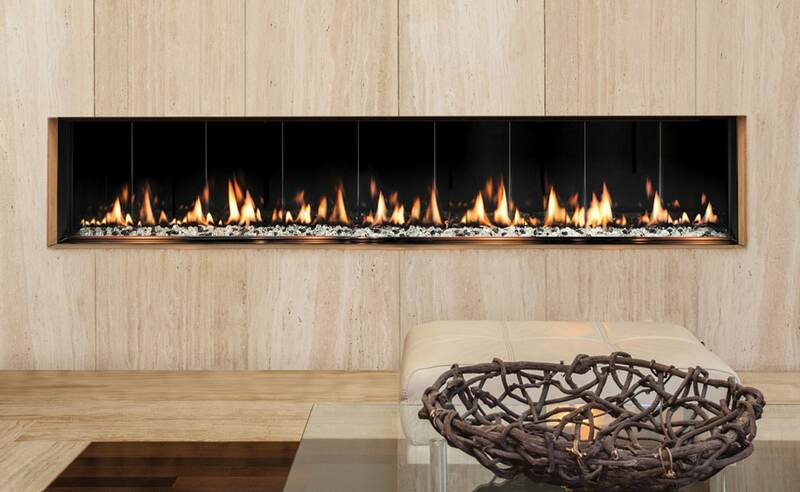 They provide amazing radiant heat using the combination of reflective glass media and porcelain enamel panels. The panels provide reflective radiant heat, in addition to several layers of fire light—all of which enhance the soothing dancing flames. 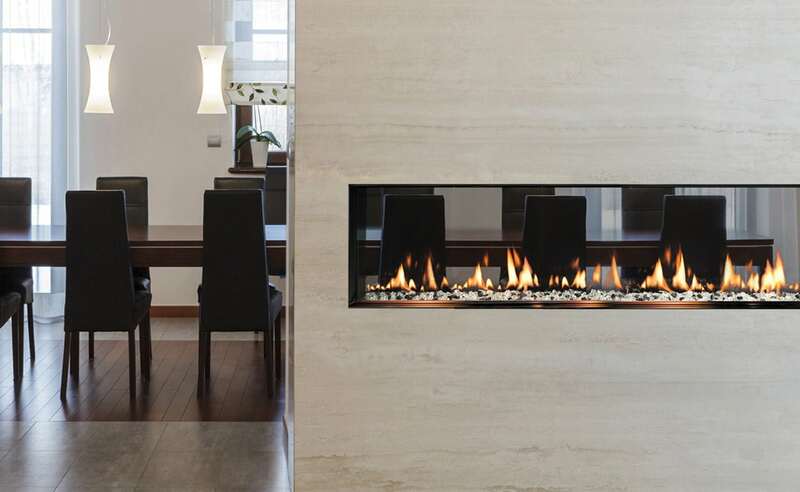 Unparalleled venting options from incredibly short minimum venting requirements, to available Power Venting, The Slim-Line Built-In Fireplaces offer unprecedented installation flexibility. Built-In fireplaces include a battery backup system for power out situations. 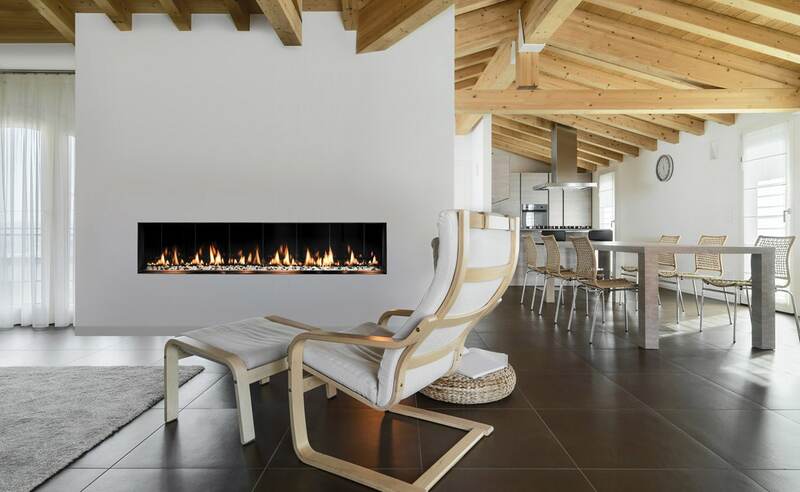 The Slim-Line Built-In fireplaces can be easily converted to operate on either Natural or LPG Gas. The SÓLAS Slim-Line products are designed and manufactured in New Hampshire. All the Slim-Line models come with a programmable thermostatic Remote Control, flame height can be raised or lowered to achieve the desired effect. The standard burner media consists of a mix of black and clear reflective glass crystals; optional glass media is available in Aureo Reflective, Cerulean, Cyprium, Jade, La Mer, or Sapphire Reflective as shown below. In addition, all models come with an invisible and inconspicuous modern-mesh screen, which is in compliance with the latest safety standards. Other options include a choice of a ½ inch black or stainless steel trim that frames the glass viewing area. Trim will allow for a sharper transition between the fireplace and the wall.